Designed by J Brooks (B 44 p602), the foundation stone was laid in 1883 and it was opened in 1885 at a cost of over £11,000 (BA 24 p11). Brooks is best known for his large and economical churches in the poorer parts of London. These used inexpensive materials, mostly brick, and were often designed without a tower or spire in mind. His strengths were his skilled proportions and his ability to introduce surprises, even on a tight budget. Though there were fewer constraints at St Peter’s, it shows many of his virtues. The clerestory is unusually tall and the arcades correspondingly low, yet the brick-faced walls are in no way oppressive nor are the arcades overwhelmed. The original plan had short transepts and one of Brooks’s typical belfries, above a transverse gabled structure over a crossing (see Elleray pl 122). However, they were omitted when the church was built. 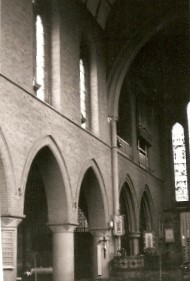 The interior is a unity, as the chancel arch is almost as high as the church and barely interrupts the panelled roof. An ingenious touch is the organ gallery, over the north arcade of the chancel. 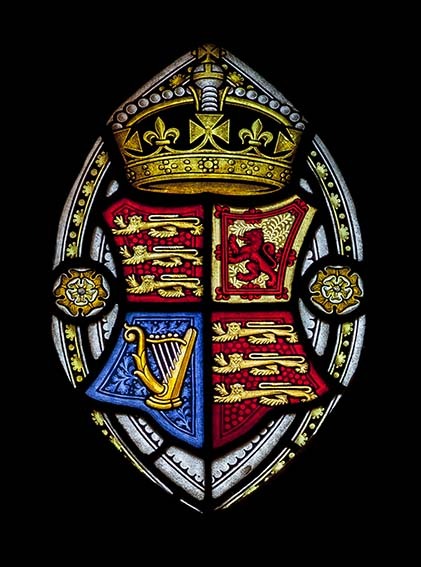 All is plain – the transition from round to square on the capitals of the arcades is particularly ingenious, since there is no carving to disguise it. The only display is in the apsidal north west baptistery, with a conical roof and a vault inside enriched with dogtooth moulding. 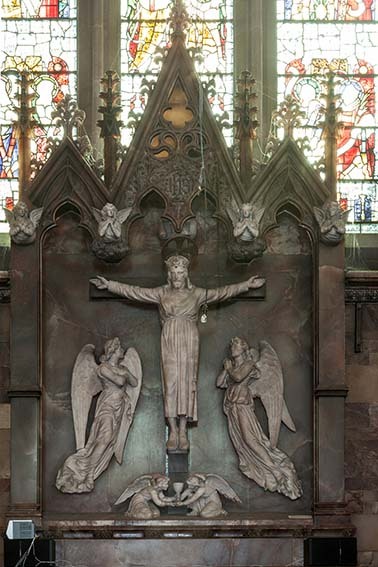 Some later fittings are in a similar vein (see below) and Brooks’s own reredos suggests he enjoyed such contrasts. 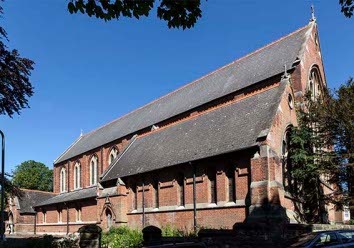 The parish was merged with that of St Paul when the latter was closed in 1964, after which it was properly known as St Peter and St Paul. However, Brooks’s church was itself made redundant in 2012 and is now used by another congregation, the Sonrise Church. 1. 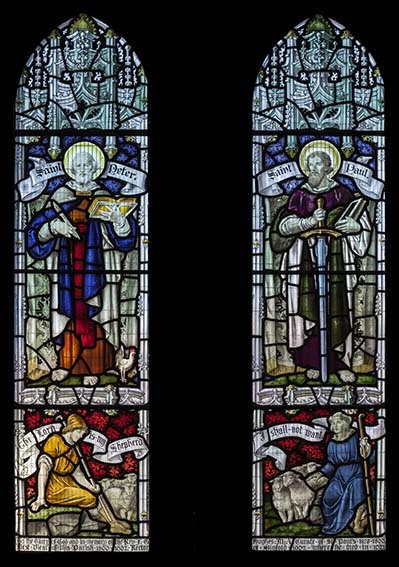 (Baptistery) Three lights by Lavers and Barraud, 1885 (www.stainedglassrecords.org retrieved 16/2/2015). 2. 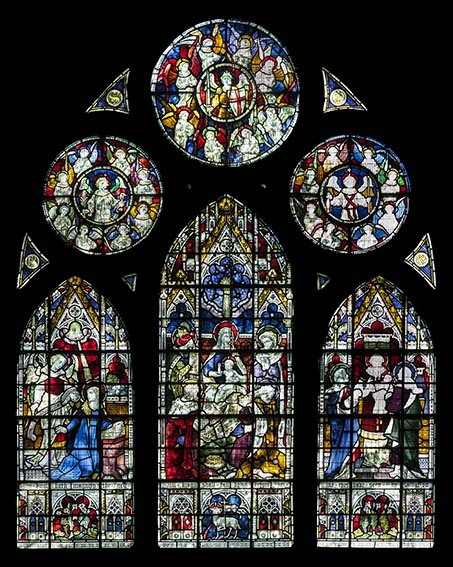 (South aisle, fourth window and north aisle first window) Jones and Willis, 1926 and 1931 (signed). 3. (South chapel, east window) Clayton and Bell, 1920s (ibid retrieved 31/3/2014). 4. 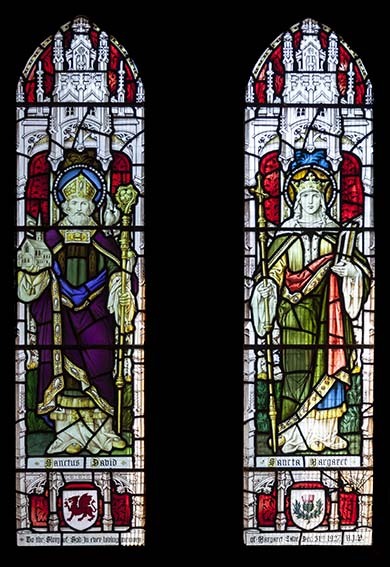 (North aisle second and west windows) Clayton and Bell 1903 and 1902 respectively (ibid retrieved 16/2/2015). Pulpit and lectern: (Either side of the entrance to the chancel) Low, made of inlaid alabaster and almost certainly designed by Brooks. Reredos: Designed by Brooks and carved in alabaster by H Hems of Exeter, 1895 (B 68 p603). The fully clothed crucified Christ is said to be based on one at Lucca in Tuscany (Faber Guide p52). The surrounding walls are also clad in alabaster. Screens: (North east corner) Two by M J Lansdell, 1897, made by H Hems (B 73 p381).